Confused about lifetime warranties on granite countertops? Canyon Lake, CA, February 27, 2008 --(PR.com)-- In recent weeks lifetime warranties on granite have been popping up all over the nation. All of a sudden some granite fabricators are claiming to be the first to have lifetime warranties. Some of these warranties are not even referring to a lifetime sealer but to a comprehensive lifetime warranty to seams and installation of the granite. Many granite fabricators have been actually offering a lifetime warranty on their work for years. Buyers should be aware and read the fine print on the warranty before assuming it’s a lifetime warranty covering the sealer to prevent staining on the granite they are purchasing. Granite Shield created the first lifetime granite sealer in 2002; the difference is the sealer will last a lifetime without maintenance or reapplication of the sealer. You don't have to worry about wiping up spills immediately, worry about acidic liquids, using coasters or placemats ever again. With granite sealed permanently by Granite Shield they mean it's permanently sealed, never has to be sealed again, has a lifetime warranty, not a limited warranty limiting you to use special cleaners and follow special maintenance procedures like other companies. If a company states or it's in writing on the warranty to wipe up spills immediately and use coasters and placemats, this indicates the sealer that's being used isn't a very dependable sealer and won’t last a long period of time or a lifetime without needing to be resealed. Granite Shield achieves their lifetime permanent sealing process for granite using proprietary catalyzing polymers. These chemicals are not standard sealers purchased over the counter but specifically made for Granite Shield by their chemists and can’t be found anywhere else or used by anyone else other than an authorized Granite Shield applicator or fabricator. Depending if the granite is considered light, medium or dark, each type of stone takes a different application process and then is capped with catalyzing polymers with a permanent carbon crystal sealant which then locks the catalyzing polymer into the stone. The carbon crystal sealant forms a molecular bond with the granite which can not be removed thus creating a lifetime seal plus leaving your granite more vibrant, smoother, shinier, maintenance free and still able to breathe. Granite Shield not only permanently seals but enhances the shine and depth of the gloss on polished granite. Granite Shield permanently seals granite but also works on quartz products such as Silestone, CaesarStone, Avanza and other man-made countertops too. Granite Shield can seal all types of countertops including natural stone, engineered stone and even concrete countertops. Even the best polished granite countertop will feel smoother with Granite Shield. The dullest granite takes on a more vibrant, glossier look and the darkest colored granite such as Blue Pearl is smoother, shinier and looks more polished then it ever did. Granite Shield can be applied to new or existing granite countertops and can go through any existing sealer or presealed granite. No special granite slabs need to be purchased. A granite fabricator can still purchase the granite slab where he normally buys his slabs or the slab yard of the customer’s choice. So with Granite Shield you can have any color of granite available in the world, not just a select few. It only requires one licensed authorized Granite Shield applicator or granite fabricator and is ready to use immediately after sealing. The Granite Shield process can be applied at the fabrication shop or in the customer’s home after installation. Many independent granite fabricators throughout the United States have been offering their customers Granite Shield’s permanent lifetime sealing process since 2002. Granite Shield has less then a 1% failure rate and should it fail its warranty covers both material and labor. The Granite Shield process is under warranty for the lifetime of the sealed surface against any adverse change to the sealed surface, including appearance, visual clarity, and staining of the sealed surface. If any such adverse change occurs after the Granite Shield process has been applied, Granite Shield will repair and reseal the applicable surface at Granite Shield's expense for the lifetime of the granite. Granite Shield is located in 45 states and in Canada, Australia, New Zealand, England and Ireland with 63 authorized applicators. 26 are authorized Granite Shield Countertop store fabricators. There are currently 6 Granite Shield Countertop retail showrooms located in Lake Elsinore California, Hemet California, Temecula California, Tucson Arizona, Reno Nevada, Las Vegas Nevada and opening soon in Mission Viejo California, and Orlando Florida. Granite Shield is a proud member of the Marble Institute of America. For more information regarding Granite Shield, sealing services, employment, business opportunities or investment opportunities to open your own Granite Shield Countertop showroom email Granite Shield attention Debbie Burton Phillips, Vice President at info@GraniteShield.net or visit their website at www.GraniteShield.com or www.GraniteShieldCountertops.com Toll Free 877-477-3254. 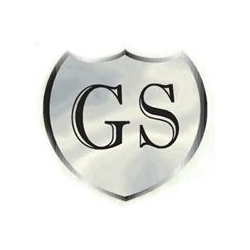 Granite Shield is a registered trademark.